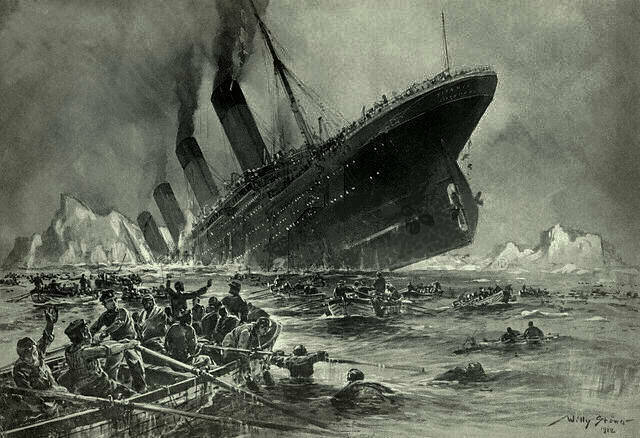 Asleep at the wheel: Reports of icebergs failed to reach Titanic’s bridge, sinking the unsinkable. What drives innovation? Answers to this question usually include inputs to innovation like government policy, amount of R & D spending, number of patents, access to talent and/or capital. Or the focus is on the consumer adoption of innovations. However, a new study claims that although all these things matter in terms of inputs, nothing matters as much as the culture of the firm in terms of actual outputs or “radical innovation” (the commercialization of radically new products). Radical innovation is what drives a firm’s success. It’s also what drives the growth of markets and ultimately the economic growth of nations. It’s what we’re all after. “Radical Innovation Across Nations: The Pre-eminence of Corporate Culture” (Journal of Marketing, January 2009) reports the results of a survey of 759 companies in 17 different countries. Data at the national level was compared with data at the firm level in different categories including labour, capital, government and culture to see what was the most important factor in the commercialization of radically new products. According to the study, the strongest driver of radical innovation was the corporate culture of innovation, which was found to transcend national differences like government policy, R & D spending, number of patents, etc. The national differences were not the strongest influences as globalization is increasingly making these factors less important. For example, governments can rapidly adopt the best practices and policies of others (and are doing so at an increasing speed). Similarly, labour and capital are becoming increasingly mobile. In contrast, it is difficult (if not next to impossible) to copy corporate culture. Provide incentives for enterprise (i.e. give monetary and non-monetary rewards to innovative employees). The good news is that enterprising entrepreneurs have the ability to influence the culture of their company and that they ultimately have more control over this than they might have over some of the other inputs to innovation. The bad news is that it can be very hard to do so: the decision to protect one’s past successes or to cannibalize them (after working so hard for their success) is a weighty one. However, the right answer will ensure that a firm is not caught asleep at the wheel and continues to innovate after initial successes.